The one game we had as kids that was also played in our teens and twenties was Pictionary. Granted, the drawings became more mature (read ‘inappropriate’) as we grew but Pictionary has broad appeal, regardless of artistic ability. So what happens when you combine Lego and Pictionary? You get Creationary. Lego games hit the shelves in time for Christmas last year, giving Lego fans a whole new way to play with their collection of bricks. 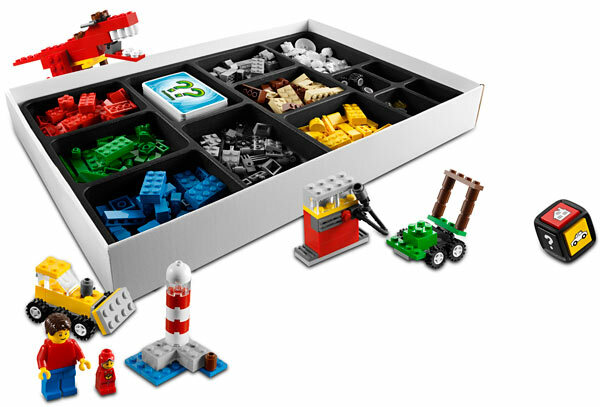 As well as lots of different game themes, special Lego adaptations were incorporated into the traditional board game format, such as build-you-own Lego dice and ever-changing game boards. After a November birthday and Christmas, three Lego games were added to our games cupboard – Minotaurus, Magikus and the stand-out, Creationary. Creationary tests imagination, creativity and building skills and can be played in multiple different ways to suit all skill levels and age groups. Creationary comes with a large collection of cards that provide a guide as to what to build (note that cards have sketch-style pictures, not ‘brick-by-brick’ guides on how to build so you really have to use your imagination to translate nature’s smooth shapes into Lego constructions). Three sets of cards are included to match different skill levels. Lego novices might begin by building a skyscraper then progress to a bridge and finally, Lego masters might be set the task of putting together a quick Statue of Liberty. Some of the building tasks really test imagination (building and guessing!) – a coffee percolator, a fireplace and a blowfly are trickier than they look and they’re in the ‘beginner’ category. Master those before you move on to a buoy, a comet or a caterpillar. Creationary can be played so many ways – rules for four different games are provided but you are also encouraged to invent and share your own rules. My kids have also spent many happy hours playing solo by simply choosing a card and building. 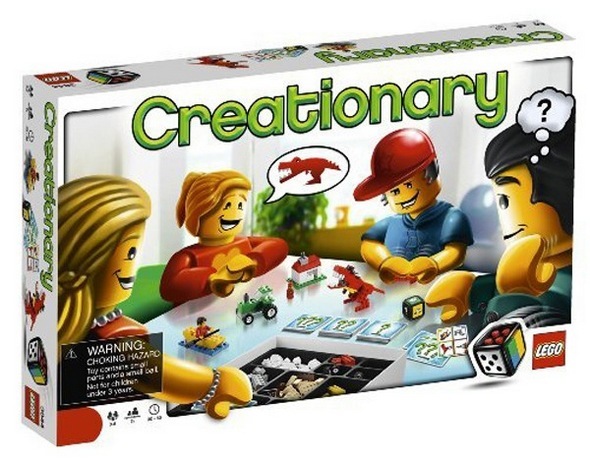 Creationary is $49.99 and is available at Lego retailers or online at the Australian Lego shop. We love Lego at Babyology! To prove it, see all our previous Lego posts here.